We awoke to a slightly sunny day. Slightly overcast day. We decided to drive to town since we really did not know the rail or the bus system. 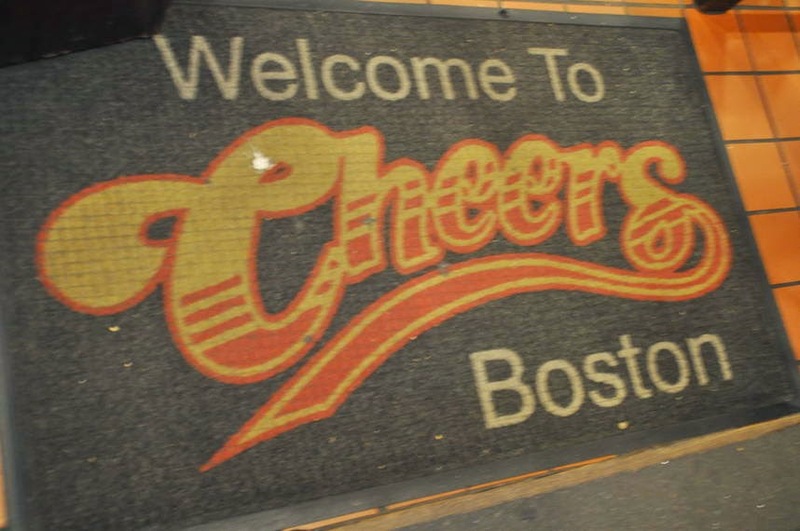 As we got closely to Boston, we felt as if were back in SF. The traffic was bumper to bumper. We finally got to the pier and parked. 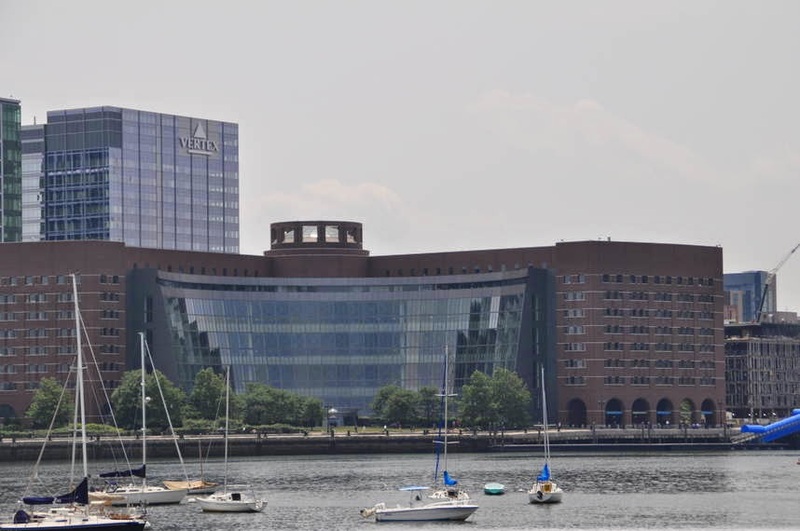 The pier is called the Long Wharf. 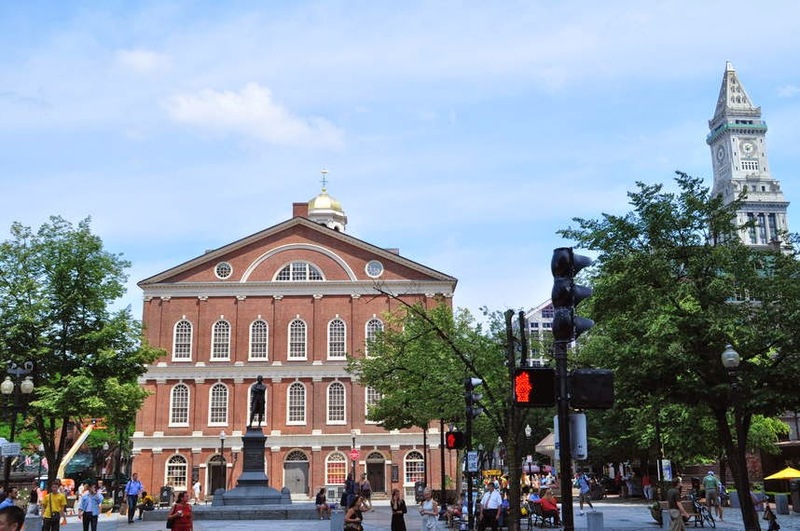 We decided to take a city tour which would take us to the freedom trail. As part of the tour we got bay cruise. 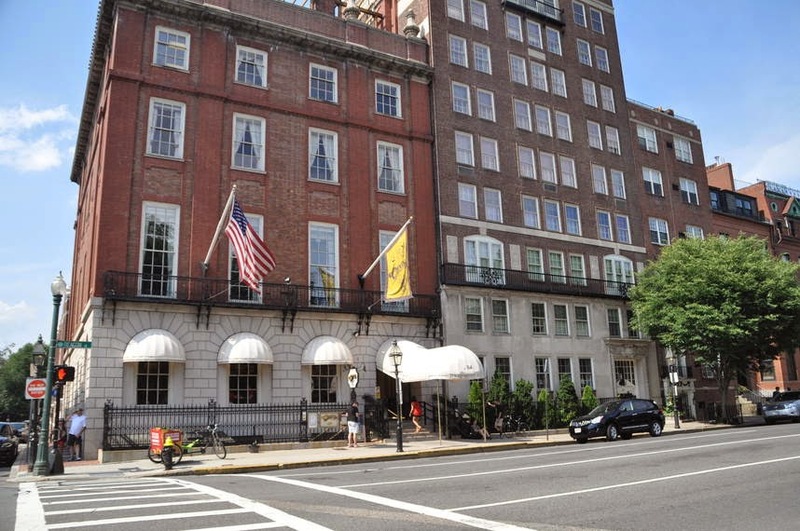 The Chart House is the home where John Hancock was born. 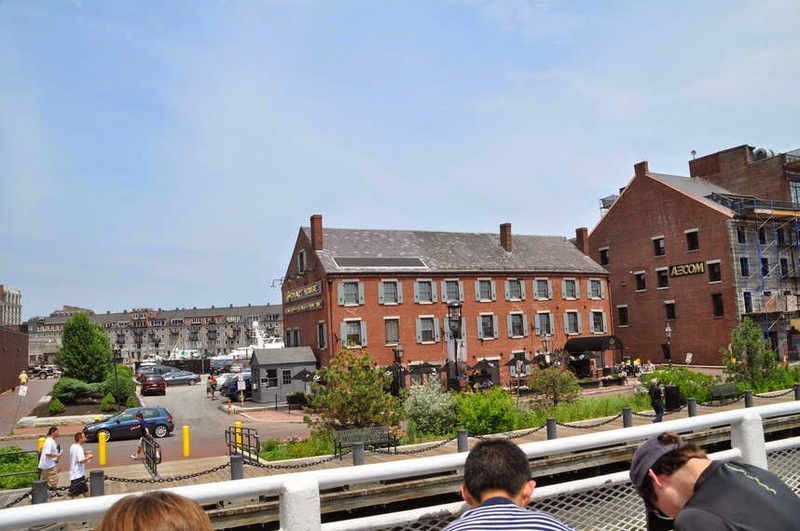 The Long Wharf is where the British launched the April 17 attacked on the colonials. 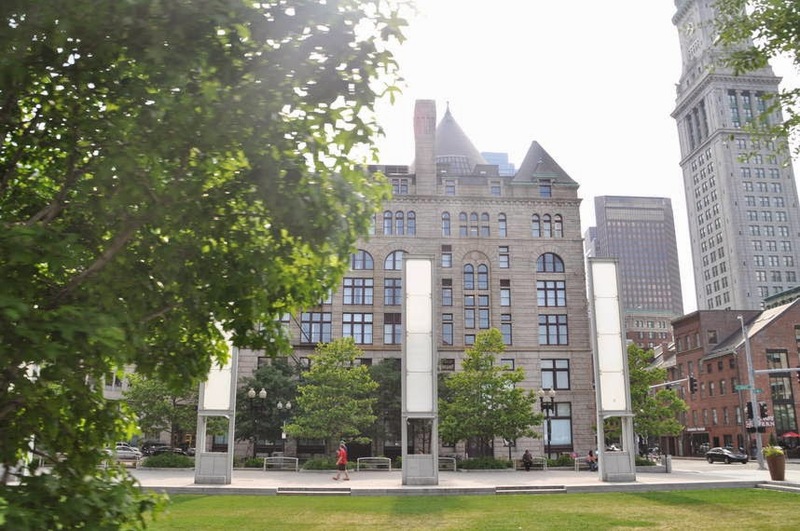 This building is the Boston Courthouse. 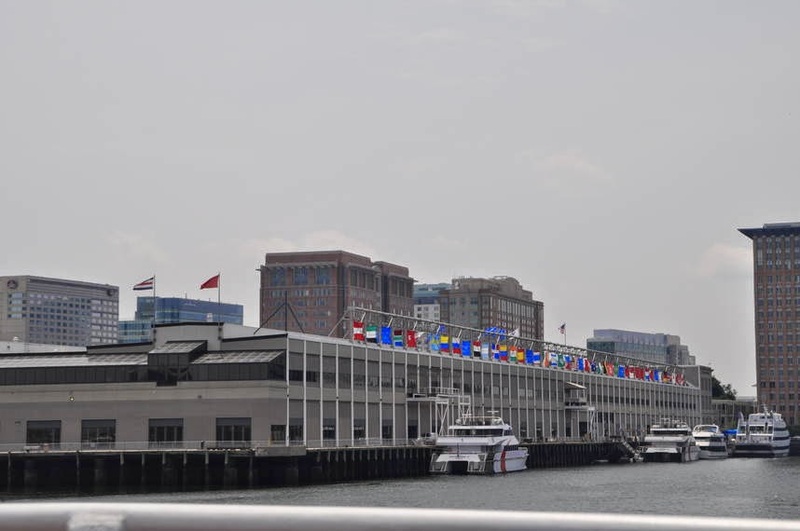 There are flags along the pier that represents every country of the people of Boston. 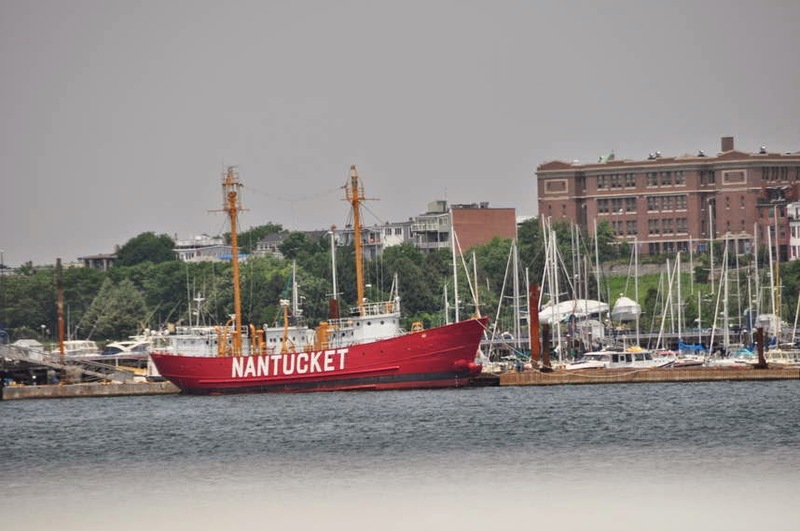 The Nantucket Island is very sandy, so the Nantucket ship used to be a lighthouse to keep ships from hitting sand bars. 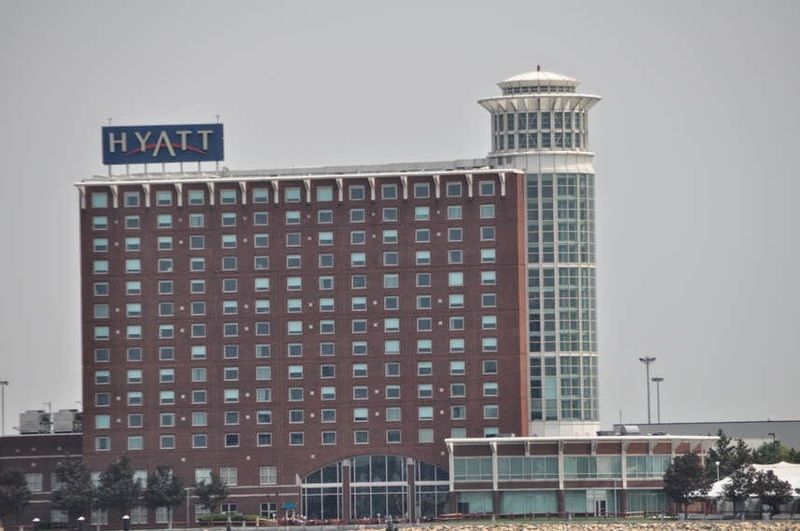 The Hyatt Hotel has a light house on the end of the hotel. They used to light the top floors like a real light house. It so confused the fishermen that they now dim the light. And this was whose idea?? 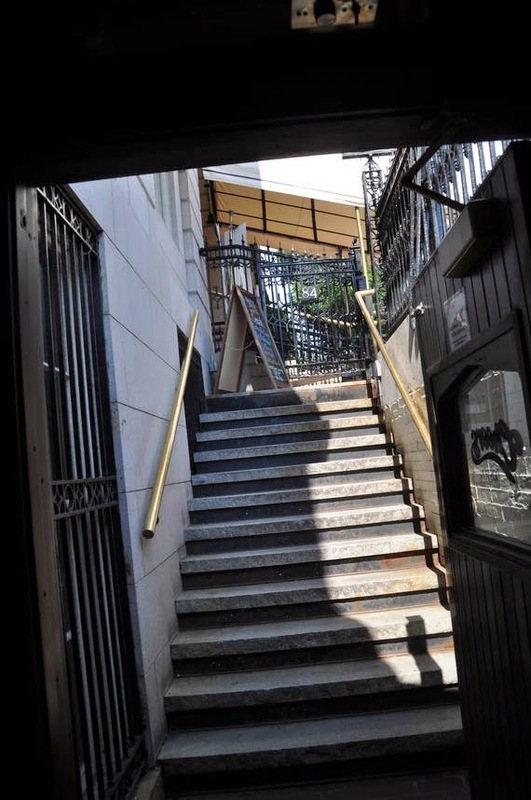 The building with the golden steps is where immigrants same through as they set foot on American soil. It is second only to Ellis Island. Lots of Irish came this way. Look in the center of the pic for gold steps. 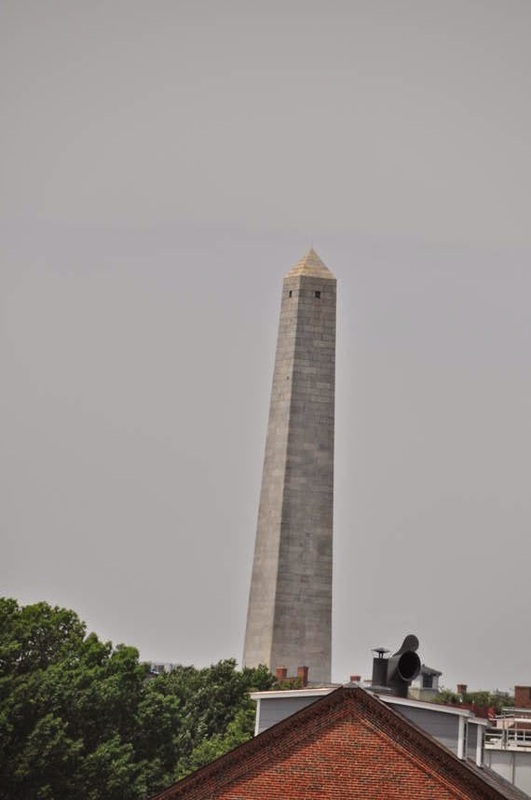 Bunker Hill looks like the Washington Monument. It is 295 steps to the top. No elevator. 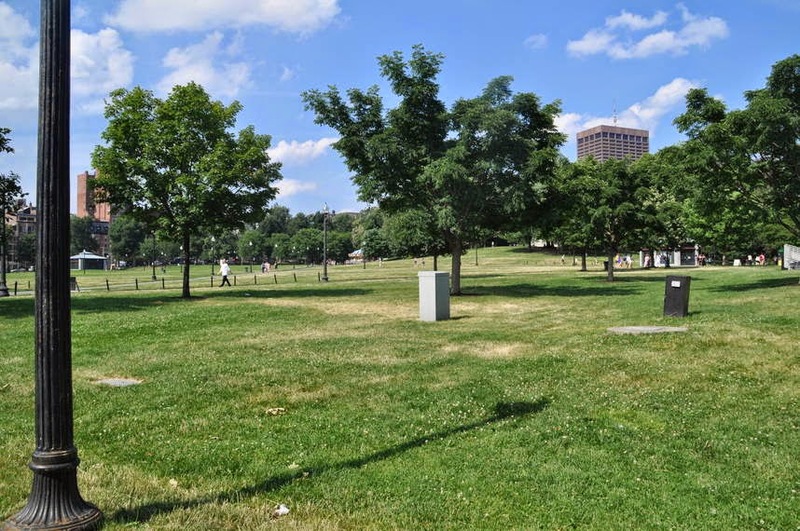 Did you know that the Bunker Hill Monument is really not on Bunker Hill. It really is on Breed hill. The men who built the fort were on from CT and had no idea where the site was. Bunker hill is 1 mile away. 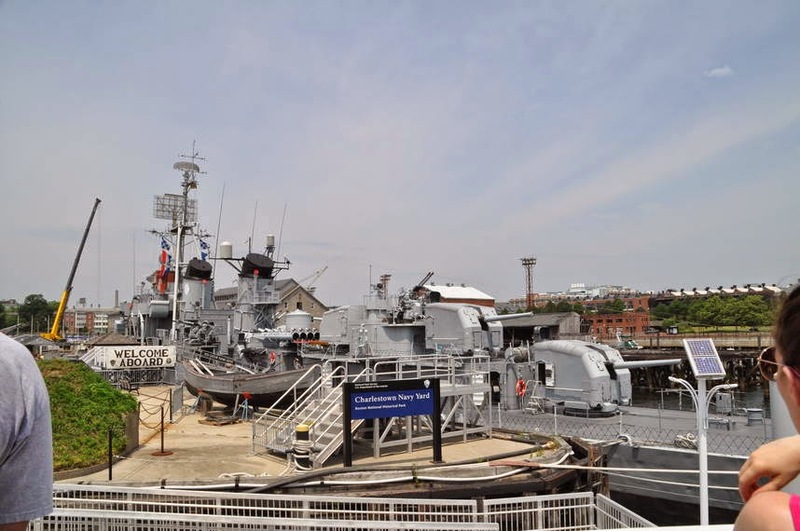 The USS Cassin Young is a WWII ship in the Charlestown Navy Yard. It was hit during the war but survive to fight another day. 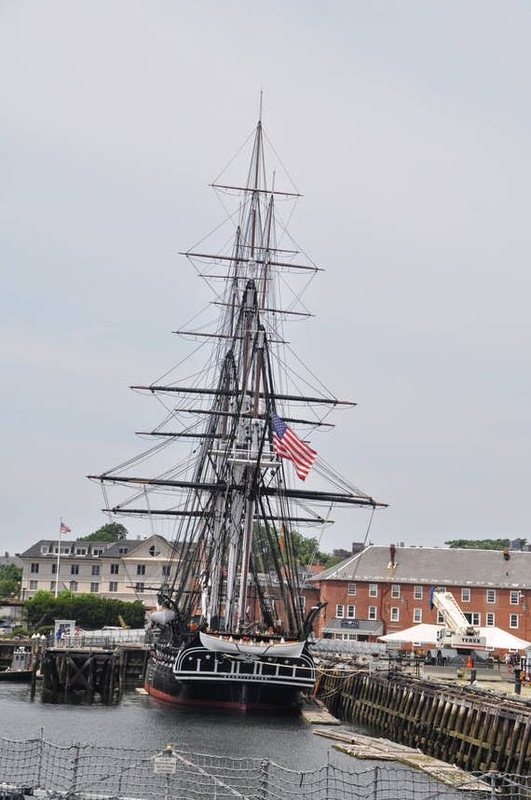 The USS Constitution ship is original one from the 1700's. She is still know as "Old Ironside". She is really made of wood. 26" Georgia Oak. When fighting the British ship HMS Gueir they said her "sides must be made of Iron" since their cannon bounced off. 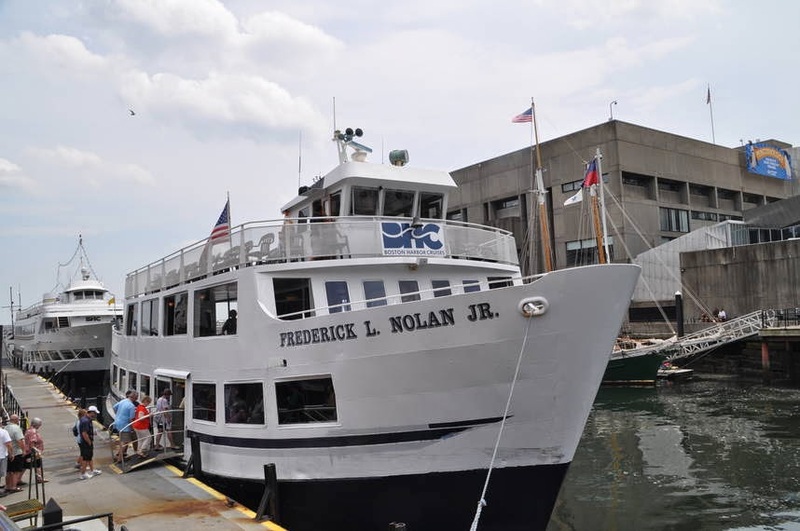 She is still commissioned and must travel at least 1 nautical mile a year. She gets this mile every July 4 as she tours the harbor. The Customs House Tower was built in 1849. 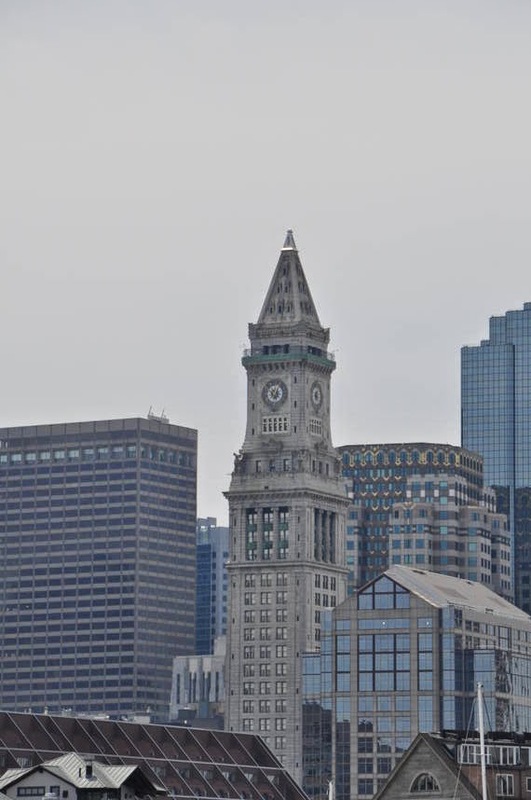 It was the tallest skyscraper in Boston. There are 4 clocks. Not one of them has the same time. 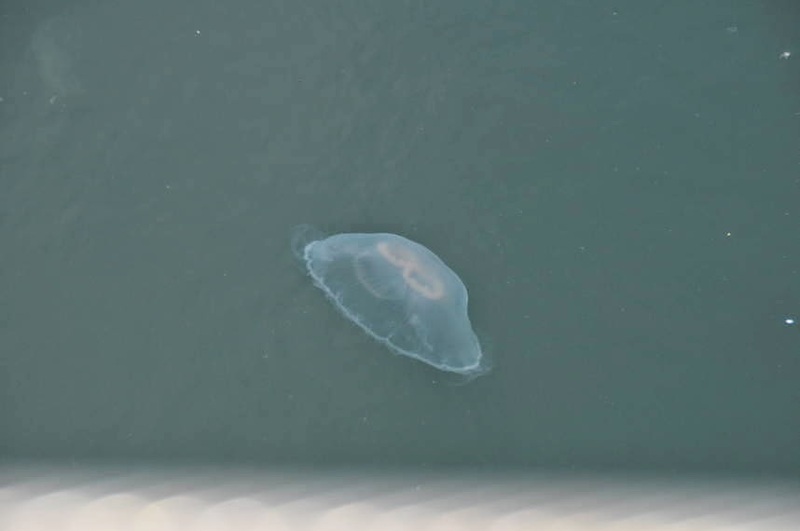 As we were getting off the ship, the waters were filled with jelly fish. After the cruise we hope on the City View sightseeing trolley. It took us on the Freedom Trail. 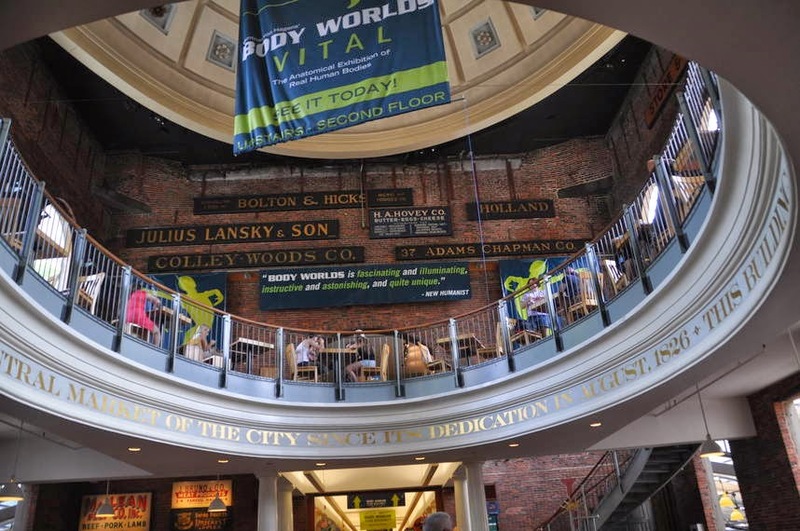 You know you are on the Freedom Trail by looking for the streets with the brick. Just like following the yellow brick road. 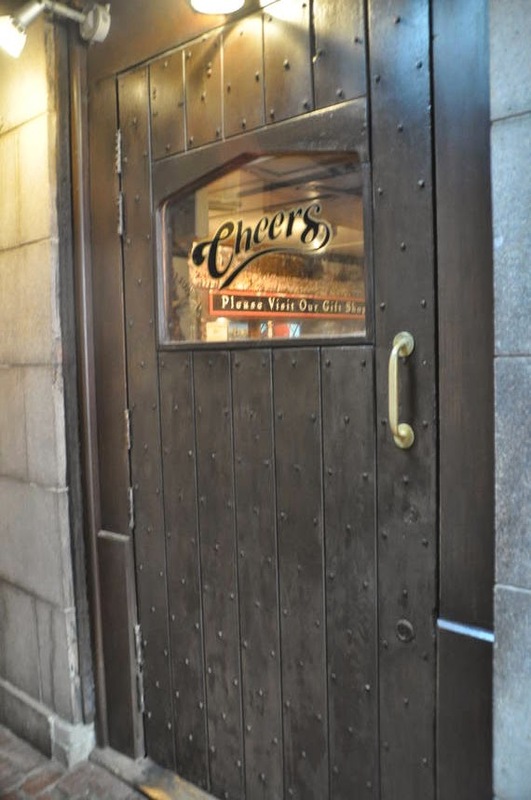 · Paul Revere's home is the oldest home in Boston. It is in the North End section of town. 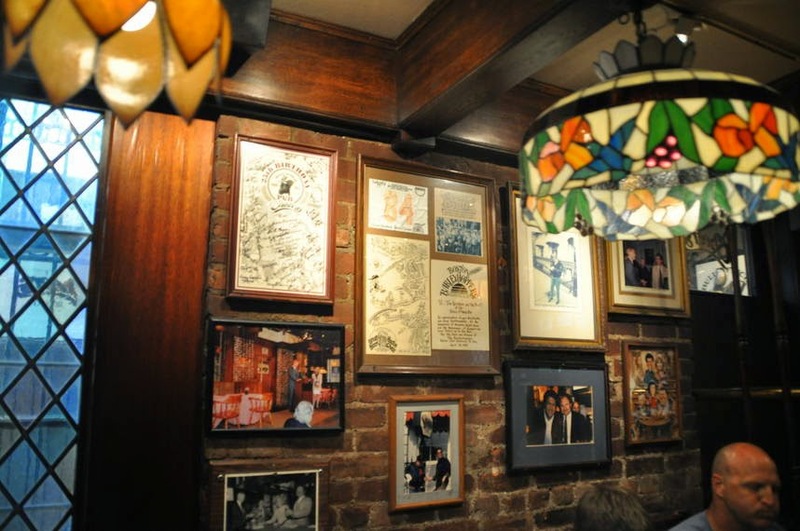 It is where the Italian section is today. 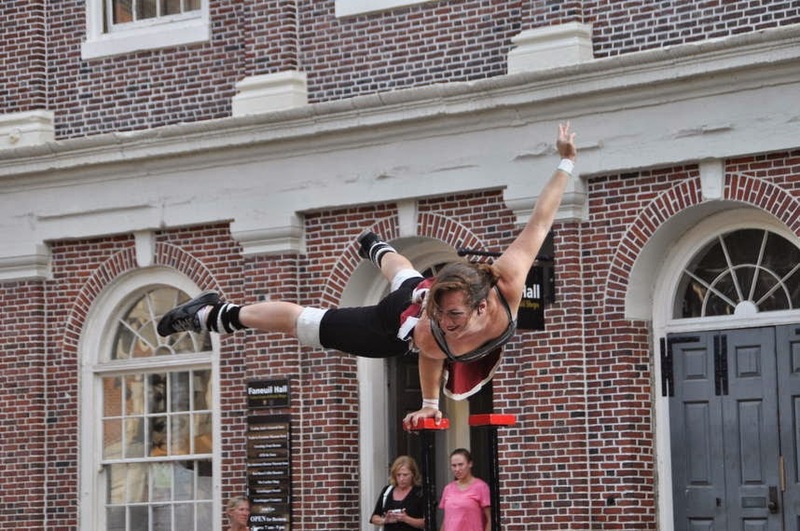 · Hanover, is the heart of the North Ed is where Ben Franklin lived. 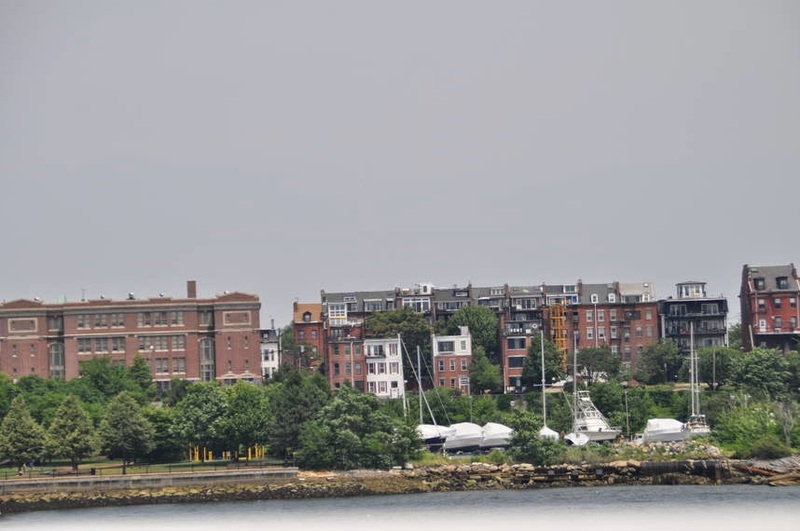 · The old North Church can still be seen in the harbor. 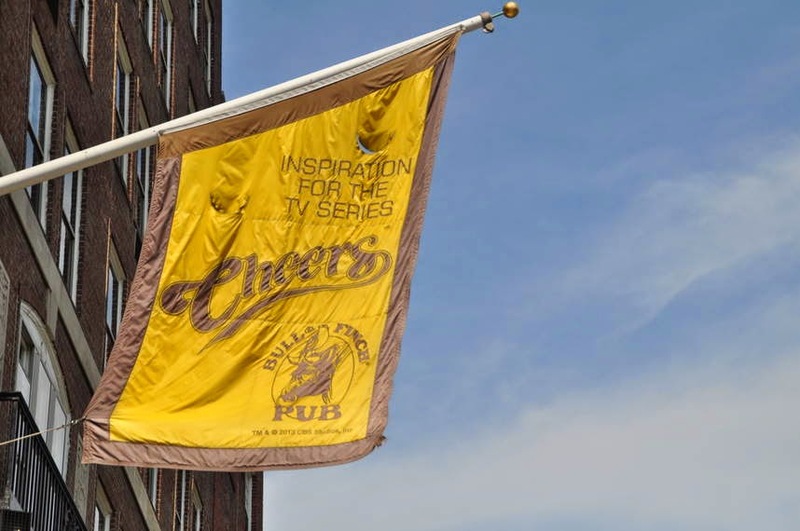 · Fanuail Hall is the Cradle of Liberty. It is the building with the gold top. 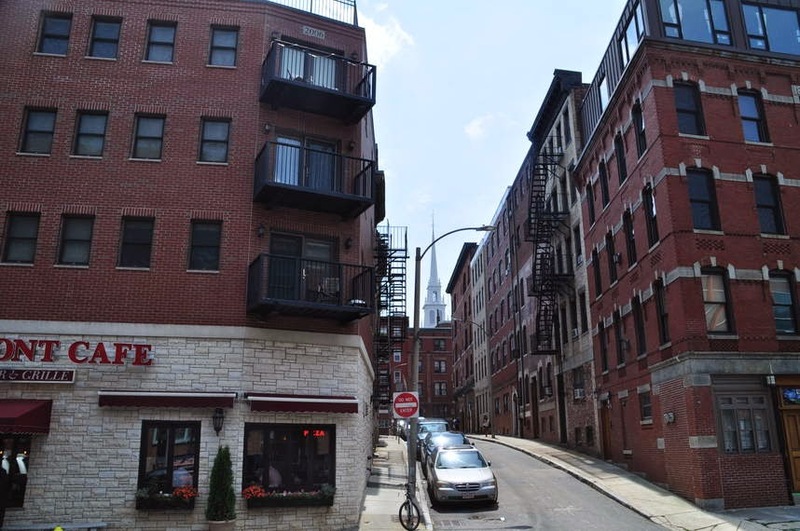 · The Corduroy Building is where they filmed the movie "The Departed" with Leo DiCaprio. 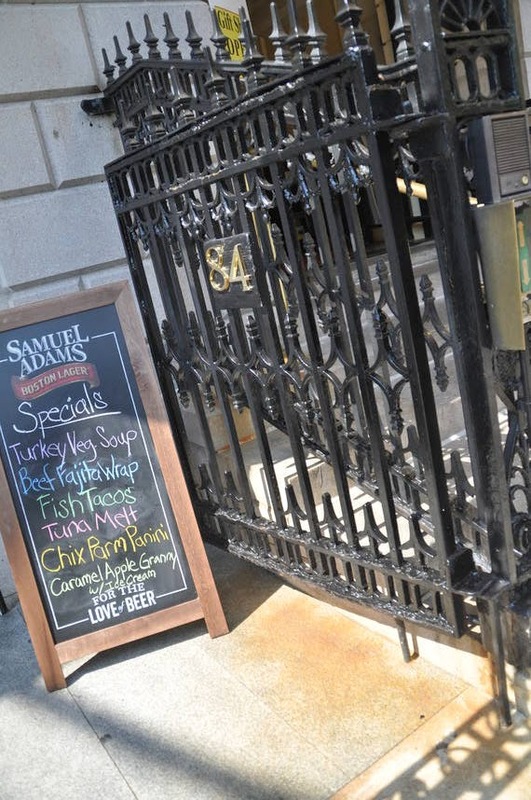 · Samuel Adams is known as the Father of the Revolution. He is known for more than beer. Thank Goodness. 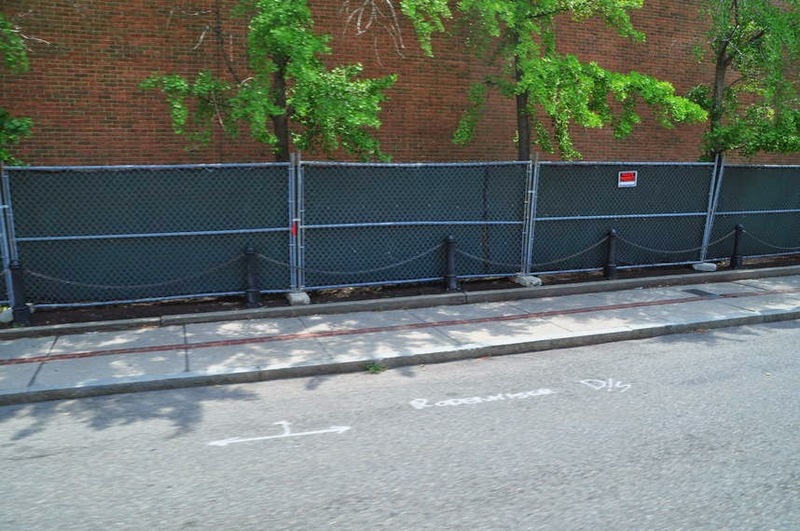 · this is the bridge that was built as part of the Big Dig. 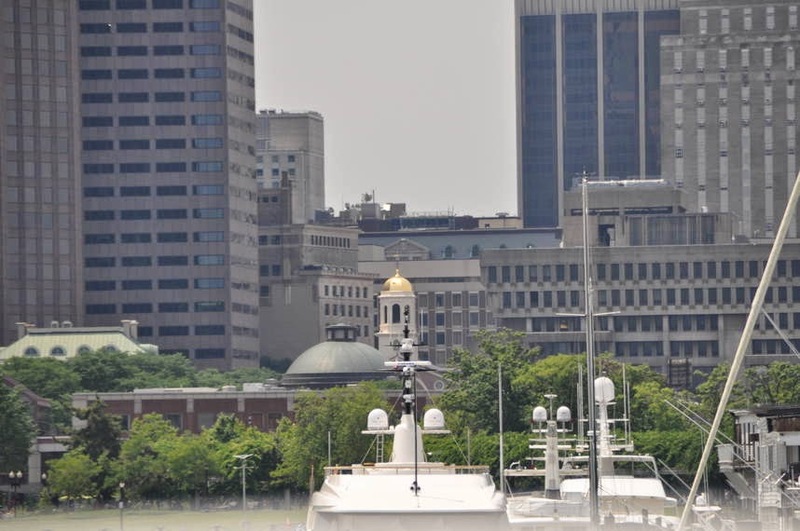 · No snow can be dumped in the harbor due to the pollutants. 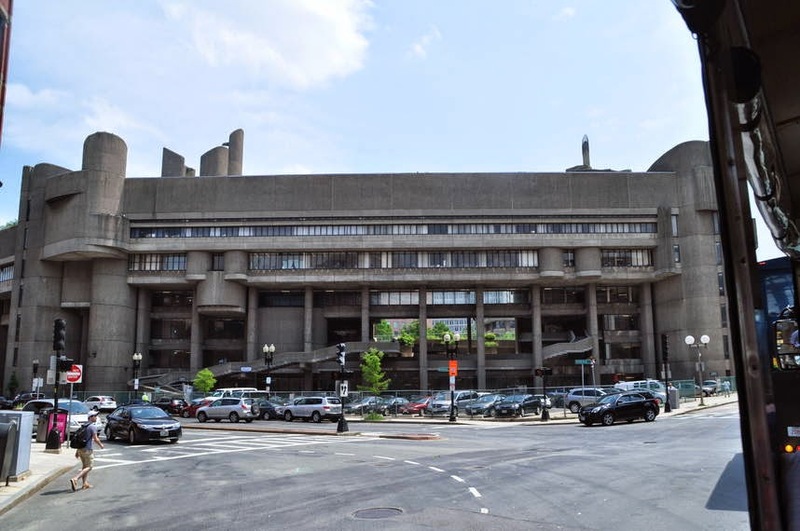 · The "Big Dig" was suppose to cost 4.2 billion. But final cost 22 billion. Don't know what the "Big Dig" is. You can always Google it. 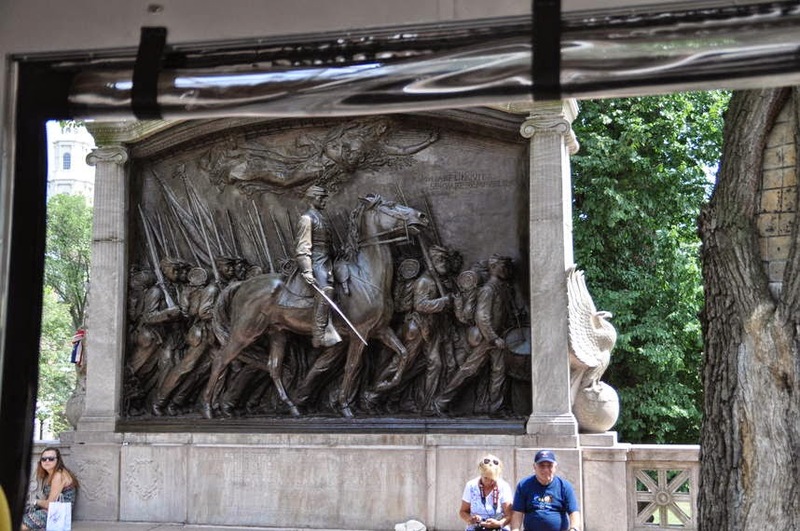 The all black American troop that all died in the Civil War was from Boston. Check the movie "Glory" out to get Hollywood version. Denzel Washington's first Oscar performance. 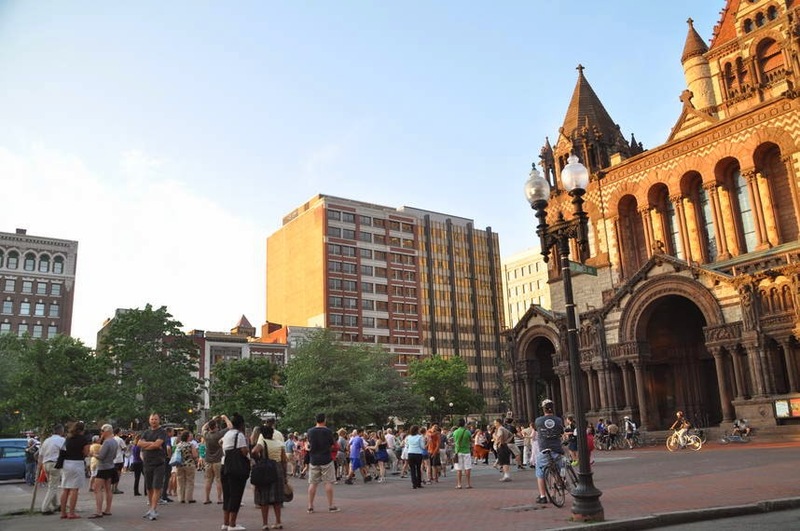 There were no cemeteries in Boston. They are called burying grounds. This is because after so many years bodies were decomposed and they buried more people on top. So they just lined up the stones of who used to be there. Well. I guess we better not count on going to see grand dads resting place. 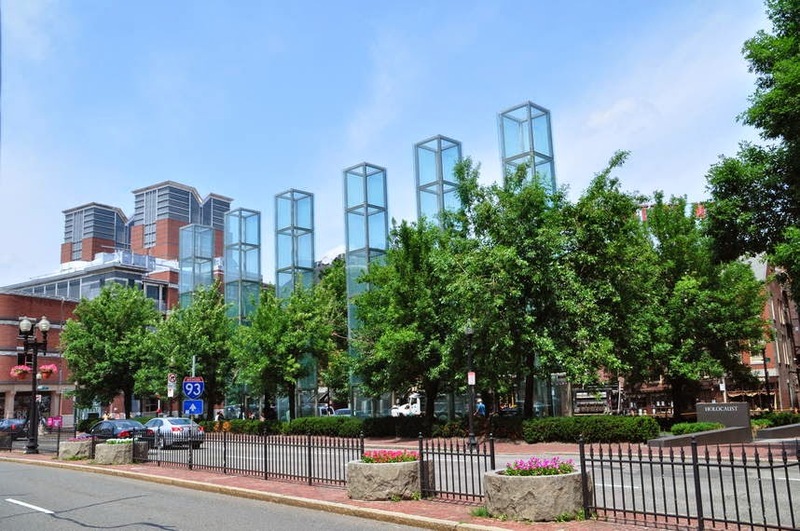 This monument is dedicated to the victims of the Holocaust. The towers are representation of the 6 concentration camps. Each tower has the names of all the victims etched on the glass as a sign of remembrance . Steam of embers come up from the bottom. The old State House. It was the government house for 80 years. John Hancock was one the governor's. It is where the Deceleration of Independent is still read on July 4. 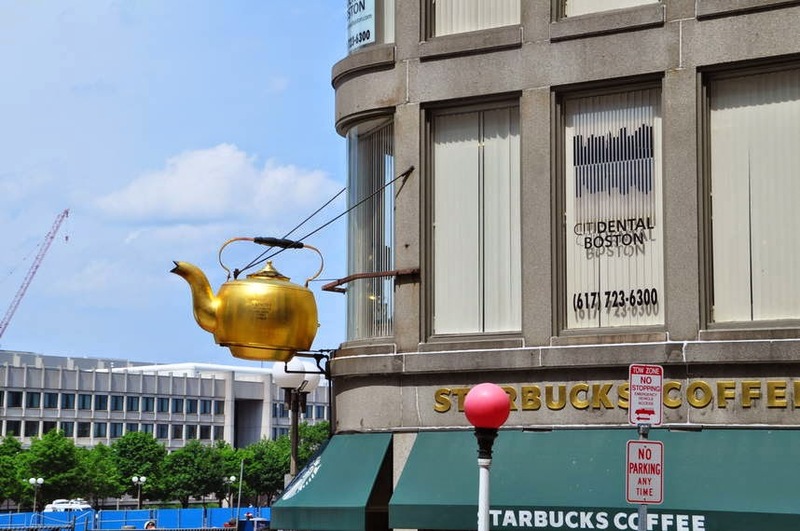 The tea pot use to be a part of the Oriental Tea Company. It has been steaming since 1873. Move over Starbucks. This is a tea town. 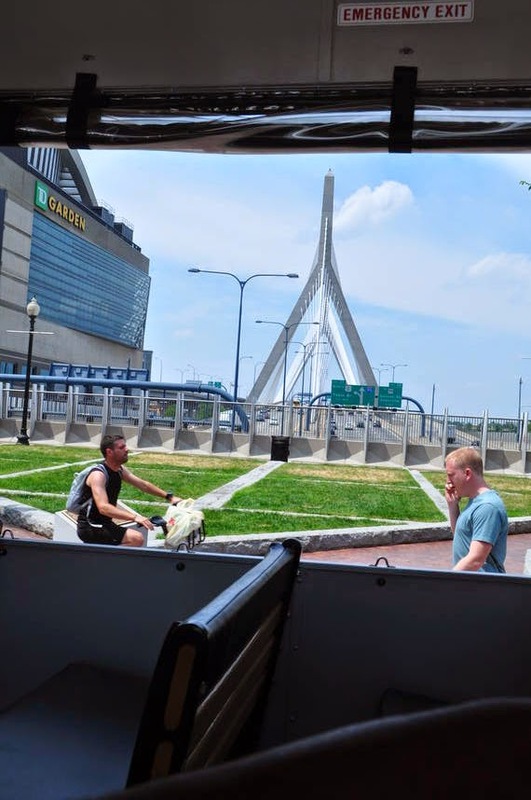 The hub of transportation for Boston. 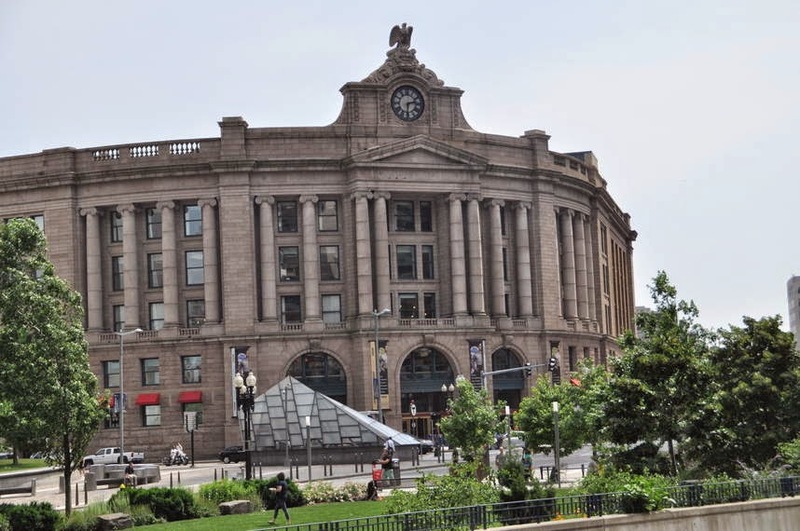 Amtrak, buses, subway and cab all start or end at this location. The clock on top is the last of the old wind up clocks. There is a maintenance engineers who winds up the clock once a week by hand. 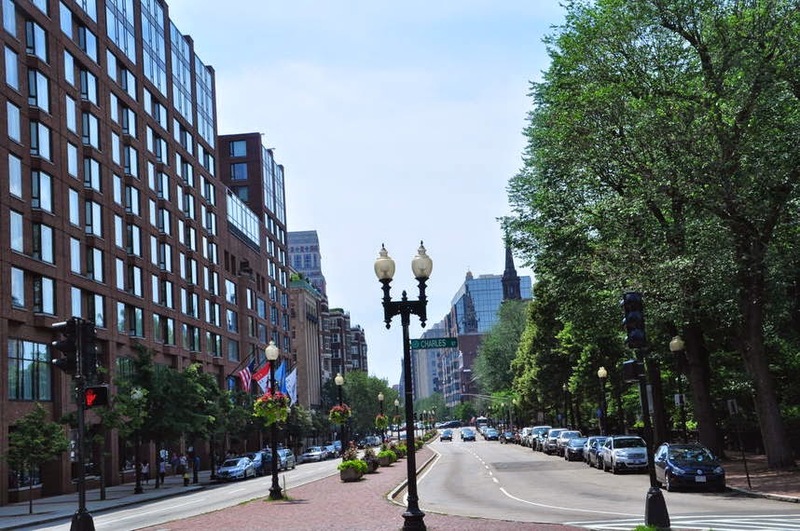 This is the final leg of the Boston Marathon. They are determine to stay strong and not let a bombing deter the event. 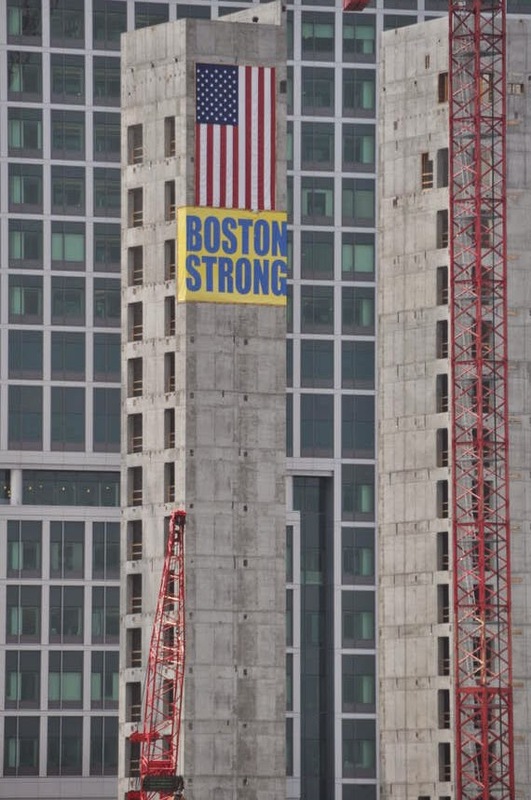 Stay Boston Strong. 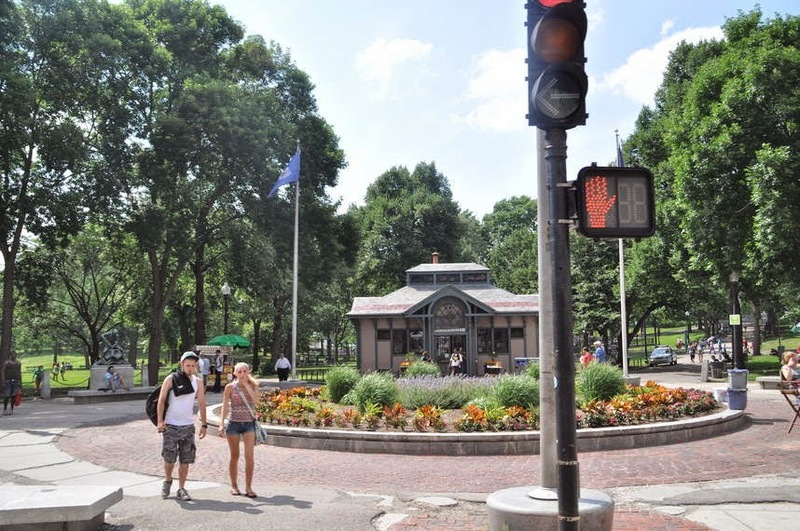 The Boston Commons is one of the oldest parks in the US. It was made in 1634. It was where the military drilled and Quakers were hung. 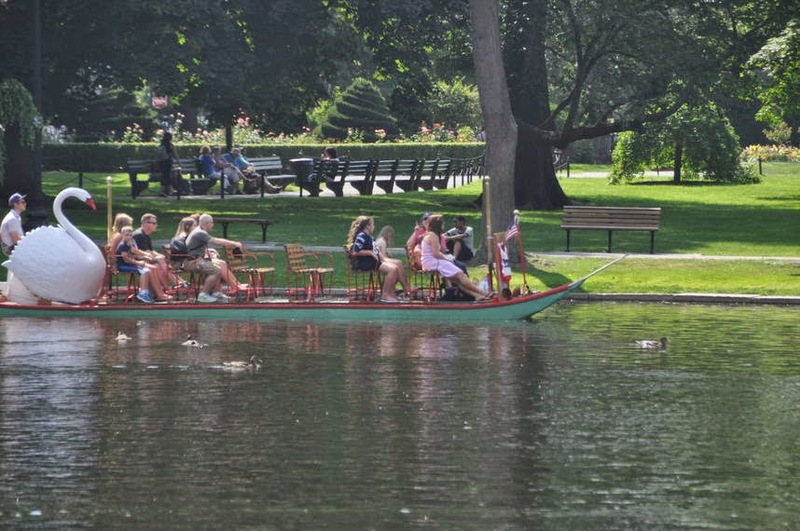 The Swan Boats have been operated by the Paget family since the 1800's. They are world famous. The ducks were made famous by author Robert McCloskey. 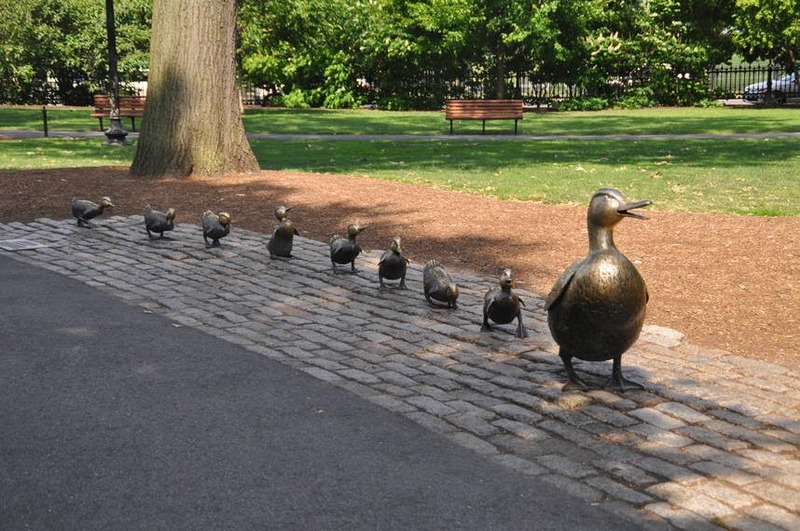 He wrote the Make Way for Ducklings'. 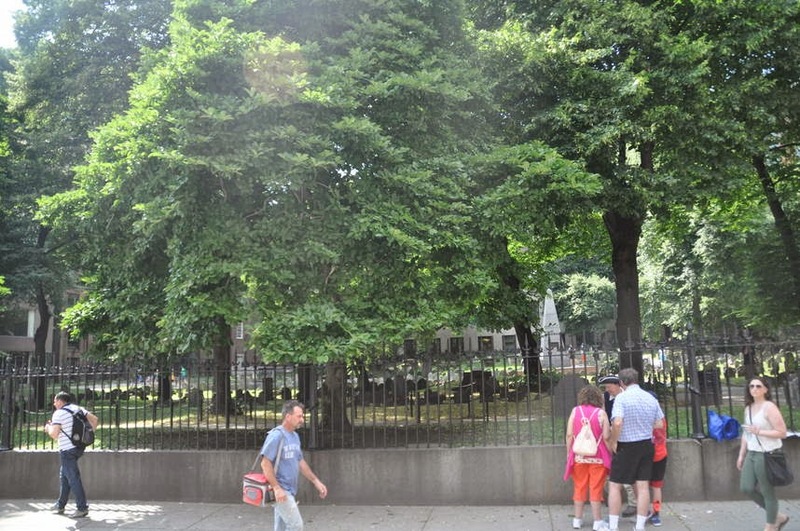 This book talked about the Boston Public Garden to children worldwide. Every Easter kids dress up as ducks and waddle after the person reading the book. Tradition! Cheers. 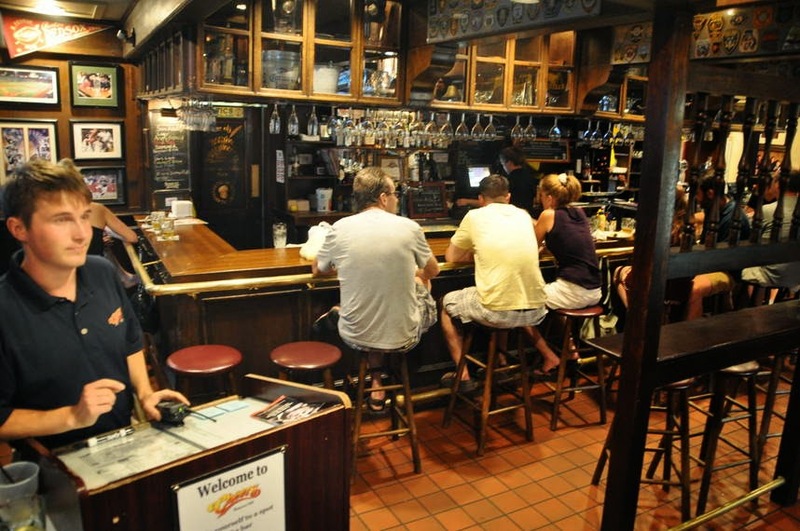 Where everybody knows your name. 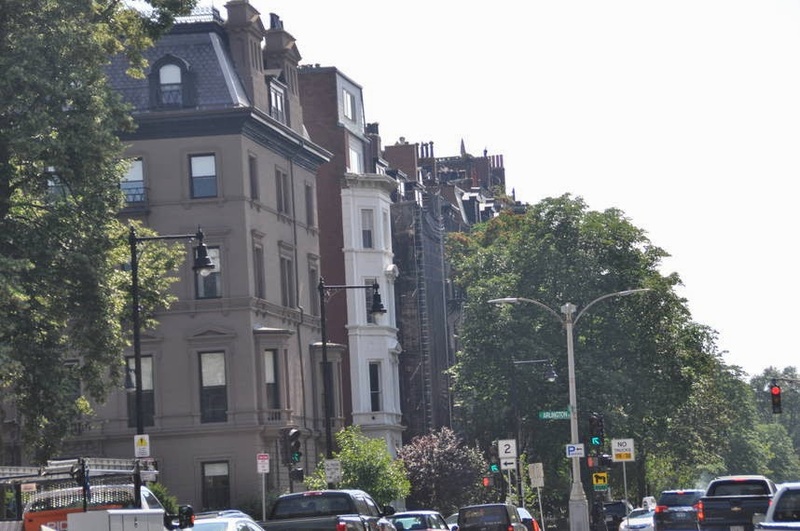 It is a part of the Beacon Hill section. Peggy S. This pictures are just for you. 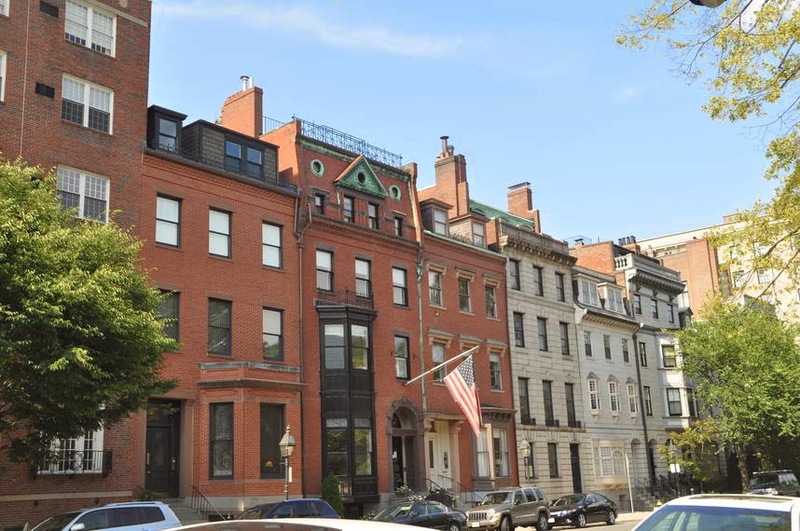 When we read our historical romance and read about the homes on Beacon Hill, now we have a good visual. One of the homes is up for sale. It has 3 bed 1 car garage. It is only going for 3.4 million. Anyone interested? 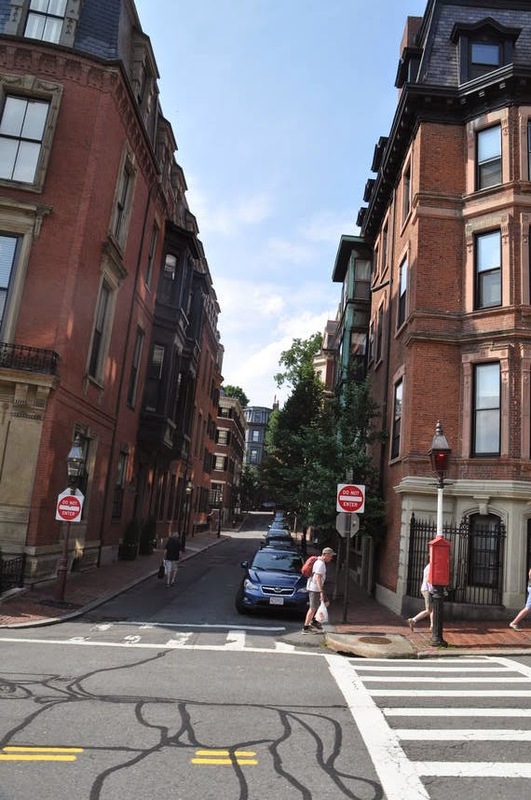 All of Beacon Hill has cobble stones for the streets. 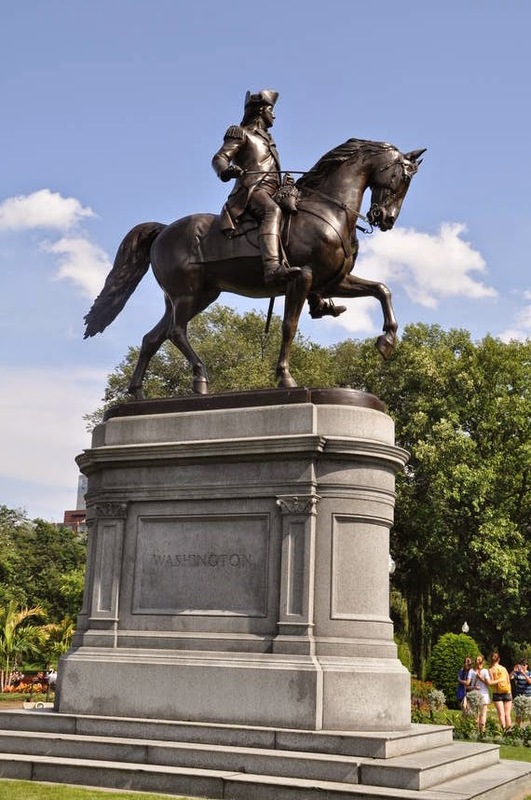 Statue of General George Washington at the foot of the commons. 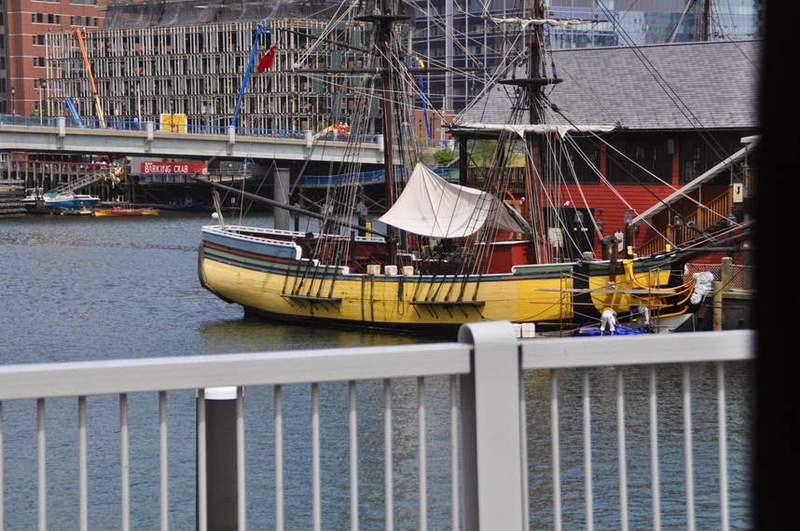 Our final stop was Boston Tea Party Ship. The colonist dumped 342 chest of tea into the harbor. Don't be sad Mrs. Tea. Harney & Sons are still selling tea. Hey, it was English tea. How good can it be??? When we got thru touring it was 5:00 PM. 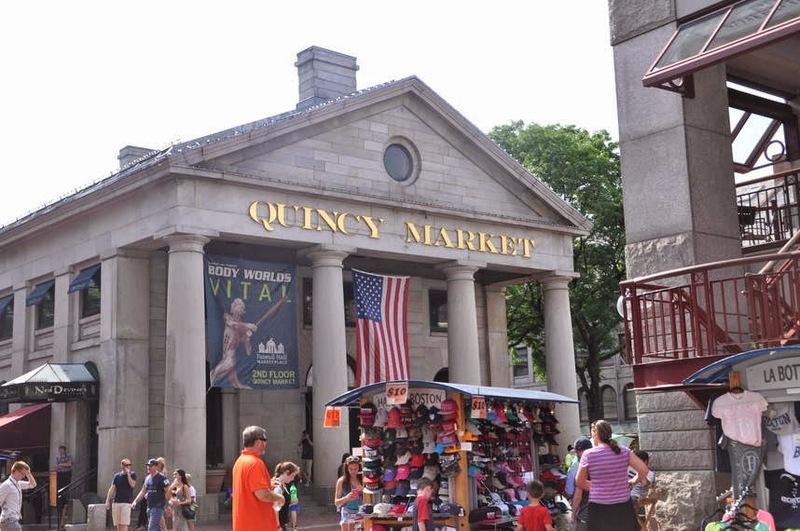 We knew traffic would be a bear so we decided to walk to Quincy Market. 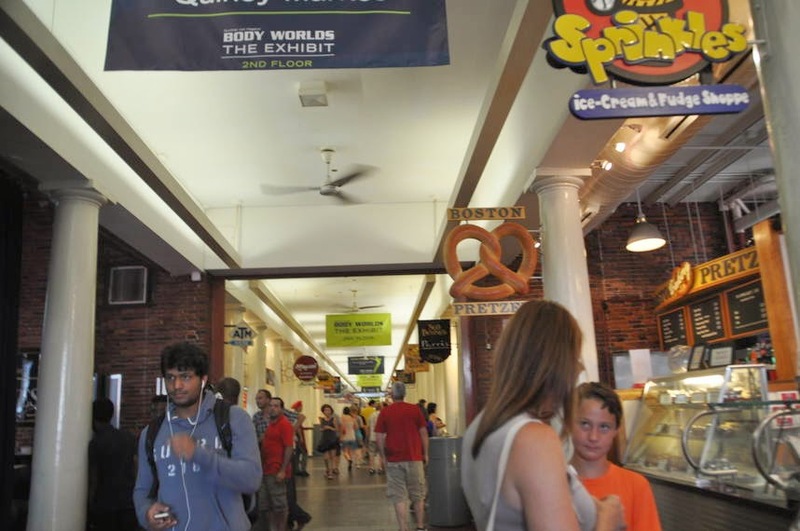 This place has every kind of food imaginable. They had a Hard Rock Cafe. So you know I had to check this out. Huh, Brian Hodges. 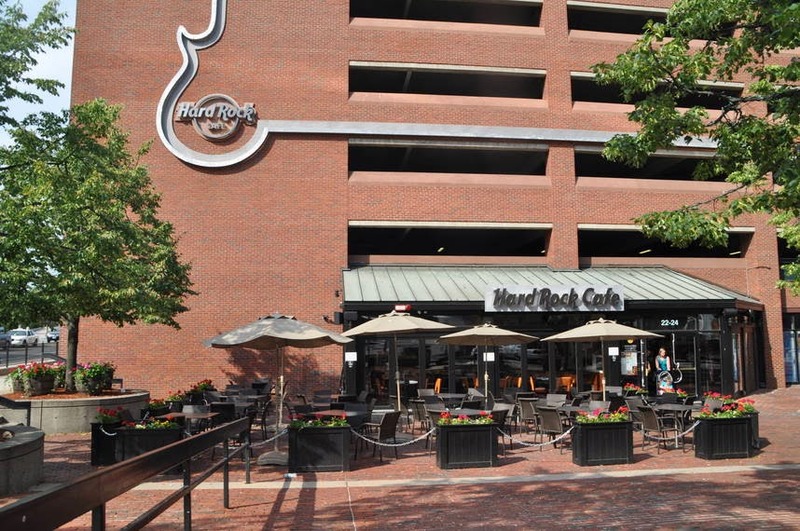 Every Hard Rock has our vote. Of course we stopped and eat there. One thing about Hard Rock, you can get the same meal no matter what state or country. Yahoo for those veggie burgers. There are many street artist. This lady has her art down pat. 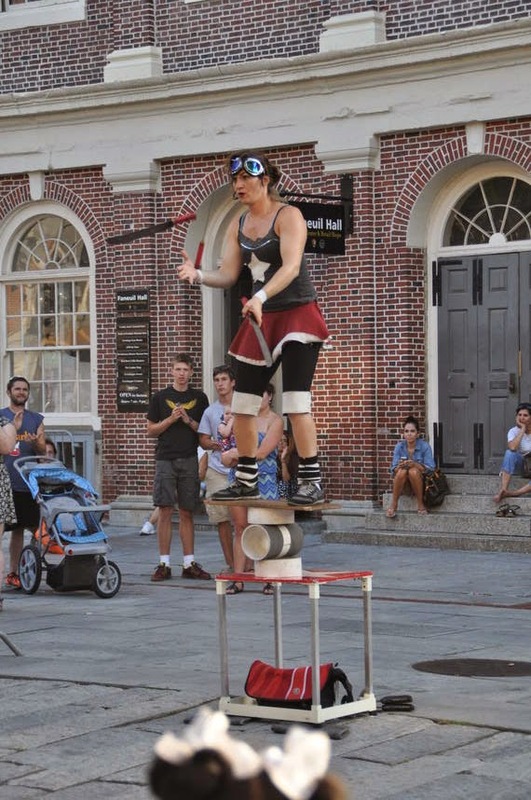 She was balancing on boards and juggling knives and balls. 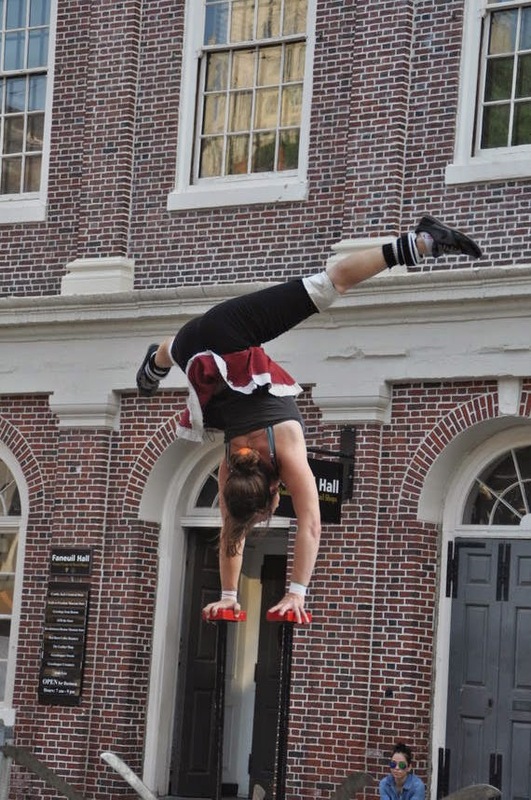 And doing hand stands in the air. 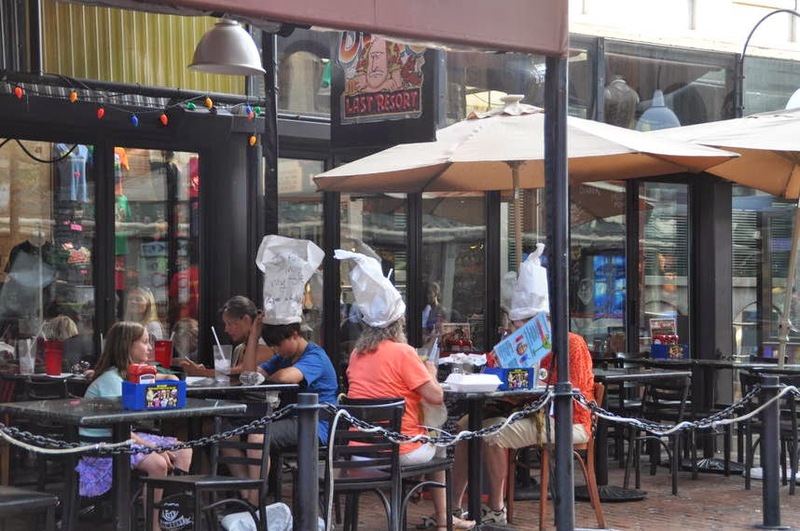 As we were leaving Quincy Market, we saw people with white hats on them. I am thinking what the heck. My honey informs me that you are given a sheet of paper to make your hand which means you are getting a lobster meal. OK. I guess. 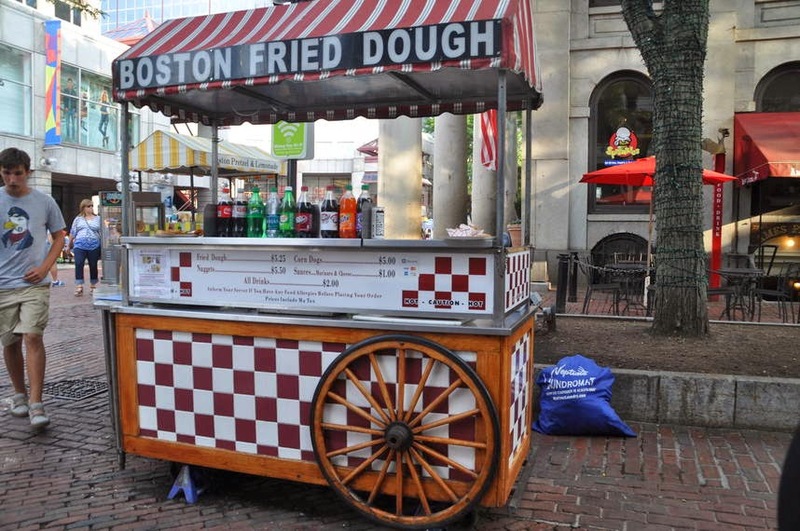 What is up with the Fried Dough? This is Boston not Texas. You know TX will fry anything. I mean A-N-Y-T-H-I-N-G. Sorry TX. Just saying. We finally retrieve our car and head for the Hilton. On our way we see people dancing in front of the church. I thought it was a flash mob. But they all seem to know the dance. 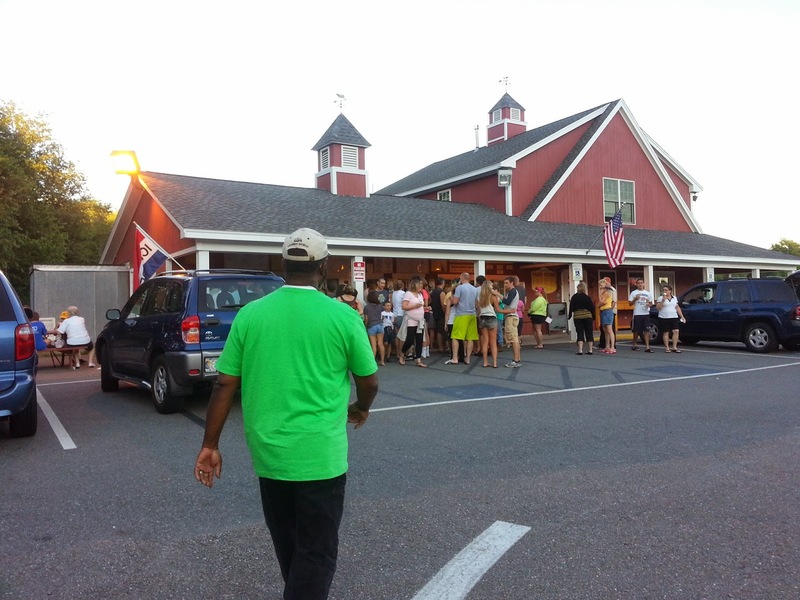 As we near the Hilton, Lo decides we need to try the Rota Farms ice cream again. I tell him we only have 15 minutes to get there. We were still on the high way. He says we will make it. We got there with 2 minutes to spare. They were still serving so we got ice cream again. The things we do for food. Ice Cream Mans wins again! Wheww...That was a long day. 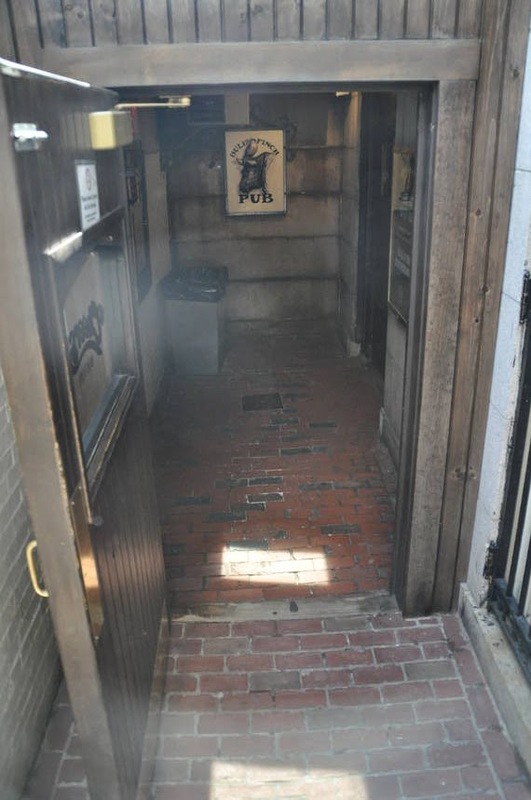 Who put the lanterns in the old North Church of Paul Revere to see? Good old Bobby Newman, the sexton. Okay, Robert. Whatever, formal East Coast. Man, they are HUGE on tradition there - and that little tea pot is way too cute. I needed to go to that shop! The "Make Way for Ducklings" ducks are adorable.